As a registered service provider to the Gauteng Department of Education (GDE), we have been working in close collaboration with the department for more than four decades, and all our materials and programmes are developed in line with the national curriculum and tailored to meet the specific needs of South African high school learners. Star Schools’ success in improving South Africans’ access to world-class education through the provision of top-quality supplementary educational products and services is unrivalled. Thousands of grade 10, 11 and 12 learners have achievedimproved high school results through our Saturday School, Matric Rewrite and Incubator programmes. Star Schools’ shareholding structure constitutes a sustainable black shareholder base, of which is 42.5% is black-owned, and 15% is held by the Advtech Group. Star Schools High is located in the vibrant city of Johannesburg, South Africa’s economic hub, where learners are exposed to an open teaching and learning architecture that comprises a seamless integration between face-to-face and digital delivery methods. Mystar Education & Business Solutions specialises in the development of customised end-to-end vitual learning solutions, offering a supply chain that encompasses the full spectrum of pedagogical, business, operational and technical services. Published quarterly, the Star Talk e-newsletter, keeps Star Schools employees, partners and clients up to speed with the latest developments in the organisation. Star Schools aims to build a stronger South African community by meeting the country’s literacy and education needs through the provision of an easy-access, high-value and high-impact learning experience, as stated in our original vision and mission. To make world-class solutions accessible to all. Provide affordable, sustainable world-class education solutions any time, any place, anywhere. Star Schools’ Matric Rewrite programme can be traced back to the political unrest of 1986 (which marked the tenth anniversary of the 1976 youth protests for better education), when then editor of The Sowetan, Aggrey Klaaste conceived the idea of a Matric Rewrite school to assist black learners who had lost out as a result of the examination boycott of that year. Klaaste approached William Smith, then owner of Star Schools, who agreed to take on the rewrite programme. Other rewrite programmes in existence at the time were permitted to register learners for the supplementary exams, usually written in March. Smith advocated, however, that three months was not enough time to teach learners who had lost out on an entire year of study. Following intervention by Klaaste, the Ministers of Finance and Education sanctioned learners who registered for the Star Schools Matric Rewrite programme to write their final exams at the end of the year, effectively giving them the entire academic year for tuition. Additionally, it was decided that on passing the final exam, the learners’ statement of symbols and matric certificate would be amended to reflect the new results. Around 950 learners registered to receive weekly tuition in the subjects for which they registered. 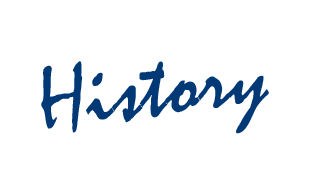 Classes were held at the Witwatersrand University campus, and the first Star Schools Matric Rewrite exams took place at the end of 1987. The learners achieved an average pass rate of about 72%. In 2012 the programme moved to Star Schools’ current premises in Braamfontein, where between 2500 and 2800 learners register each year. A satellite office is also run in Vaal, where between 350 and 400 learners are registered each year. 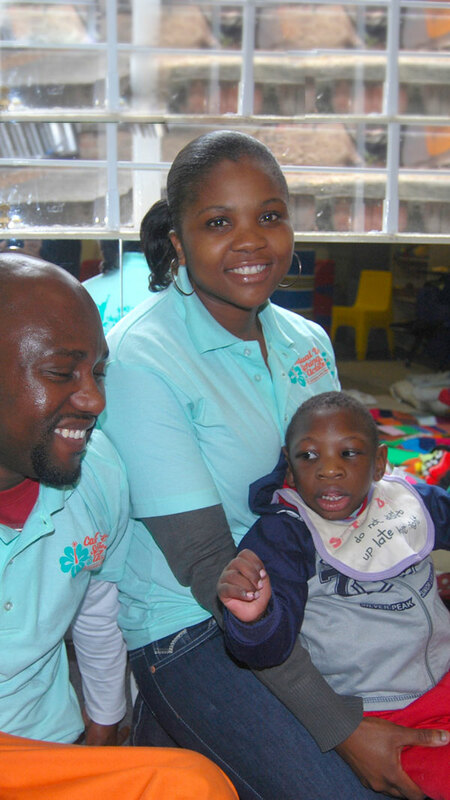 An average of around 700 learners are also registered in KwaZulu-Natal each year. Learners are introduced to key concepts and theoretical aspects, which are broken down into their root components. This enables the learners to develop a working understanding of the underlying principles of the content. Learners are guided through examples and activities so that the application of key concepts and theory can be demonstrated. This phase also acts as the first level of assessment, as the educator is provided with a snapshot view of the learner’s level of understanding and ability to practise the skills that have been taught. The process of learning and understanding is always difficult when what is taught seems to have no bearing on everyday life. This stage contextualises learning within the real life context, showing learners how what they are learning will enrich their lives and understanding of the world around them. The purpose here is to illustrate that all learning is an interrelated process of gaining greater insight into oneself and one’s surroundings. This stage tests the learner’s competency in key learning areas, with a view to providing a platform for proactive interaction and continuous corrective action that effectively closes the loop between ‘Expose’ and ‘Assess’. 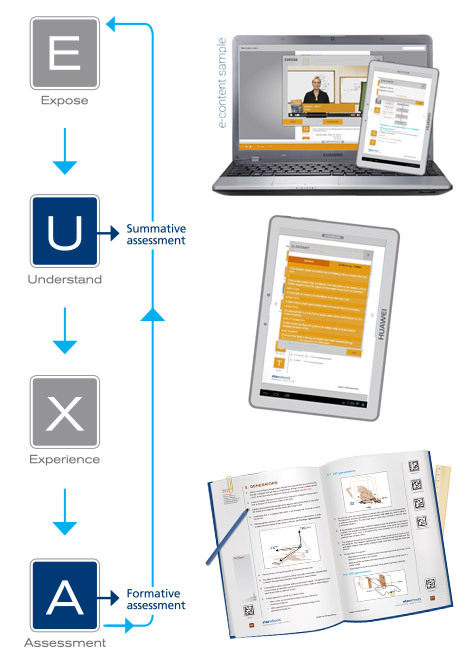 Assessments are deployed online, offline and through mobile technology. Additionally, the assessment framework provides a means of evaluating the usability and quality of the content, as well as the achievement of learning objectives. Star Schools has been administering final examinations for many years and over this time, has developed a good working relationship with the Gauteng Department of Education in this regard. The final exams are the platform from which young people launch their desired future. Consequently, Star Schools strives to create conditions in which learners are able to perform at their best. Owing to the large number of learners registered for the Matric Rewrite Programme, the final exams are written at Nasrec and Vaal University of Technology, and are administered by Star Schools, which has a registered exam centre in Gauteng. With sometimes as many as 2200 Matric Rewrite learners writing a final exam on a given day, stringent security measures are applied at all stages of the process to ensure that the integrity of the exams remains uncompromised, before, during and after they are written. Exams are usually written between October and November, and are the culmination of months of hard work that begins in January when the learners register for the Star Schools Matric Rewrite Programme. Preparation for the exams begins in August with the recruitment of invigilators. Because of Star Schools’ large learner numbers, usually around 150 invigilators are appointed, who undergo a two-hour training session on the exam procedure. In September, the learners are issued with new exam numbers and timetables. A significant amount of work must be done on the morning of an exam before the learners can begin writing. The Star Schools team, together with the invigilators, arrive at the venue as early as 7h00 to carry out final preparations. No learners are allowed into the venue during this time. Each invigilator signs the invigilators register and receives a copy of the learner seating plan, which consists of alphanumerically numbered blocks of 40 learners each, in accordance with the register provided by the GDE. One invigilator is assigned to each block of learners. Each learner is assigned a specific desk, which are placed one metre apart, as per GDE regulations, and numbered according to the seating plan. Copies of the seating plan are pasted outside the entrance for learners to reference as they arrive so that they find their desk quickly and easily when the doors open. Invigilators check learners’ ID documents and exam timetables as they are seated. At the end of the exam invigilators collect the answer books from their group of learners in numerical order and secure them in a plastic sleeve wrapping. The books are then sealed in plastic bags and transported back to the nodal point in a three-vehicle convoy. Many learners who register for the Matric Rewrite Programme do so in order to qualify for tertiary education. 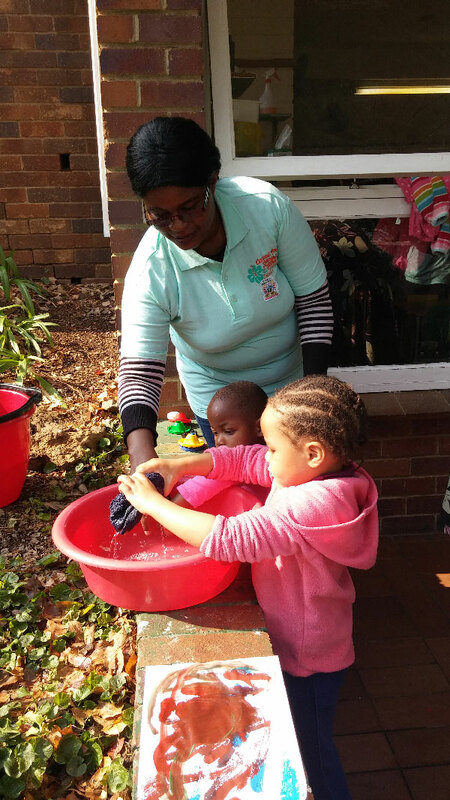 Star Schools’ programme has been extremely successful over the years, with its learners gaining successful entry. 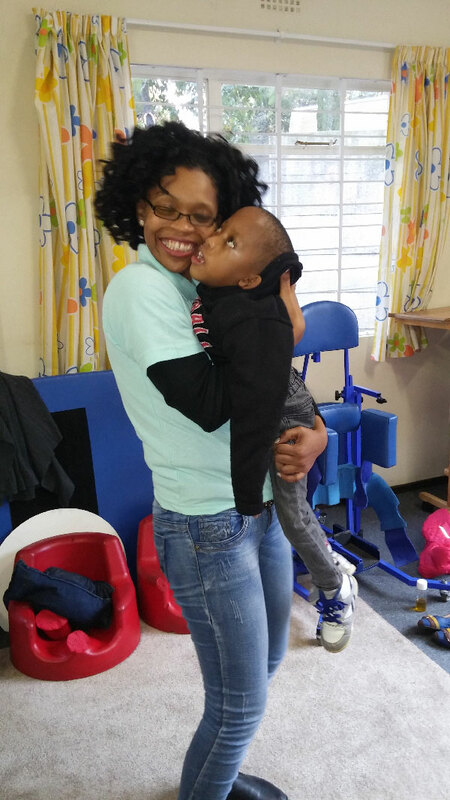 As part of its corporate social investment portfolio, Star Schools has partnered with the Sunshine Centre Association, a non-profit organisation that provides early childhood intervention day care facilities to children with physical, developmental and intellectual disabilities. Star Schools participated in the 2015 Casual Day campaign and raised more than R23 000 in the sale of Casual Day stickers on behalf of Sunshine centre. 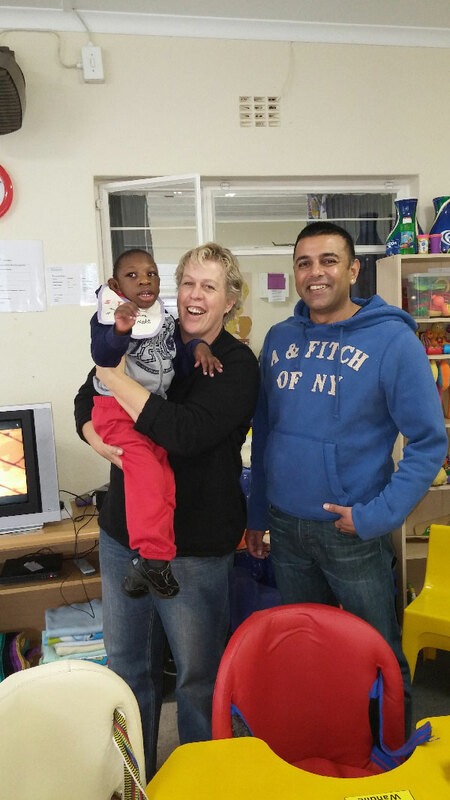 Staff regularly visit the association’s early intervention centres in Craighall, Eldorado Park and Elsburg to interact with the children and learning practitioners. Additional assistance is provided in the form of mentoring and skills transfer in various projects identified by Sunshine Centre. In association with G1 Media, Star Schools sponsored the production of a marketing video for Sunshine Centre, to be used as part of its fundraising campaign.